In the bombardment of the Belgian forts were also involved 12in Skoda howitzers, which were borrowed from the Austria-Hungarian army. 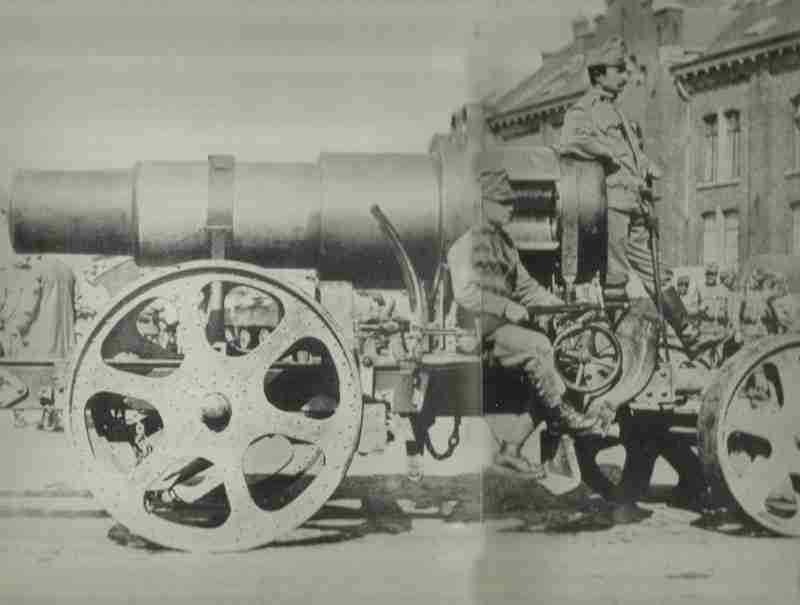 Belgium: 3 Liege forts surrender to Germans (one blows up) as Austrian 12inch Skoda howitzers join in. Alsace: French Belfort garrison (57th Division) stops ‘Landwehr’ pursuit at border. marching closer to the strategic river Jadar, Cavalry Division to Sabac and 1st Army to take over north sector west of Belgrade. Lake Nyasa: British steamer ‘Gwendolen’ (3 guns) secures lake by disabling gunboat ‘Hermann von Wissmann’ on stocks at Spinxhaven (5 crew members captured). East Africa: British cruisers ‘Astraea’ and ‘Pegasus’ shell Dar-es-Salaam. Pacific: Admiral Spee detaches ‘Emden’ and coiler to raid Indian Ocean. France: Nos 2, 3, 4, and 5 Squadrons of Royal Flying Corps (Brigade-General Sir D. Henderson) begin crossing Channel (until August 15). First plane of 44 Bleriots, Farmans, Avros and BE2s to land is Lt Harvey-Kelly’s BE2a of No 2 Sqn RCF moves from Amiens to Maubeuge by August 17.